Inspections are a critical component of a safety program. Fire extinguishers, fall harnesses, and other safety systems must work when needed. Proactive inspections are one way to ensure these devices and systems will work in a moment of need. Safety compliance management can be difficult because of the volume and types of items that need to be inspected on a regular basis. OSHA adds to the complexity with a long list of items that need to be inspected with different frequencies. 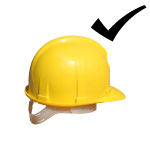 This is where SBN’s safety inspection software adds value to organizations. 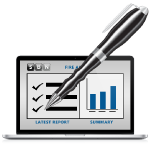 SBN’s safety inspection software allows an organization to identify all of their inspections, including the checklist used for the inspection, date of next inspection and history of all previous inspections for auditing and trending purposes. Simply identify which inspections are needed for your organization, create a checklist using our administrator tool, and identify the inspection frequency. 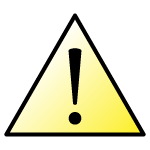 As the date of each inspection nears, you will receive automated notifications. Using your mobile device, you can then document the inspection itself creating an electronic record instantly. Signatures can also be captured electronically to certify the inspections occurred. SBN’s mobile platform saves you time, increases your efficiency and allows for robust safety compliance management.